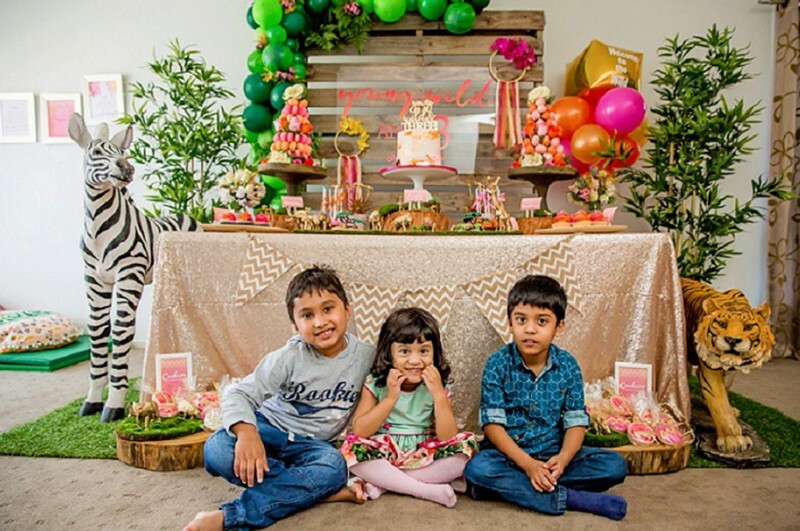 Lucky for Enaya, her mum is a party planner with Pumpkin Carriage, which served them well on two fronts. Lopa threw an absolutely smashing fête, with a dessert buffet, wild animal imagery, and entertainment for 50 adults and 25 kids. Incredibly she pulled the whole plan off in a fortnight. 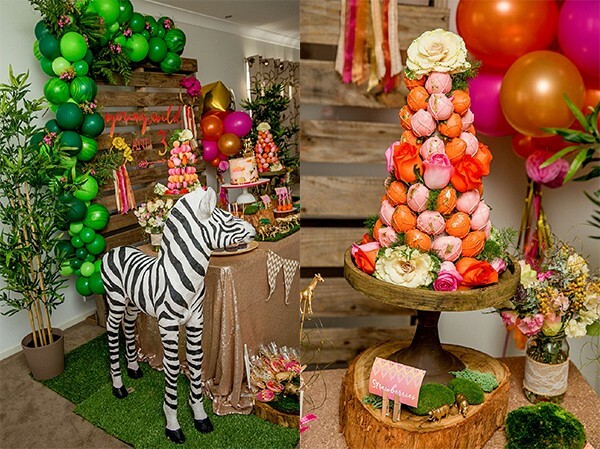 Inspiration for the party came from Enaya’s exuberant personality and her love for the Madagascar movies. The party décor was underpinned by an orange, pink and gold colour story. 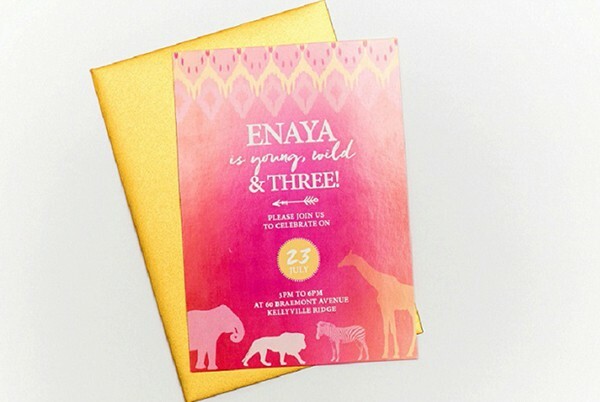 Invitations by Elaine from Louloupie Creative had animal silhouettes sitting against an ombré pink and orange background, and the design was offset with gold envelopes. 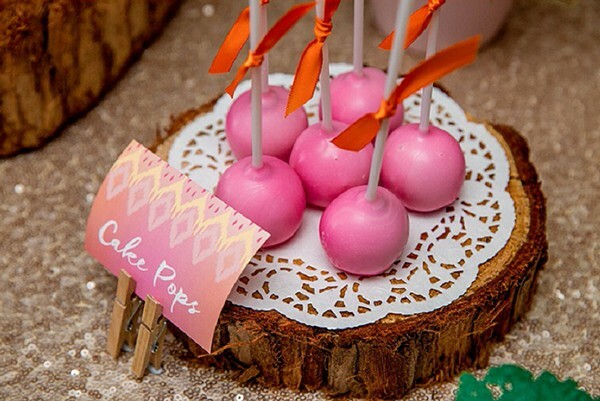 The gorgeous buffet table and wood pallet feature were a neutral backdrop to sweets and treats like petite macaron towers, cake pops, cupcakes done in the same orange and pink as the invitations. 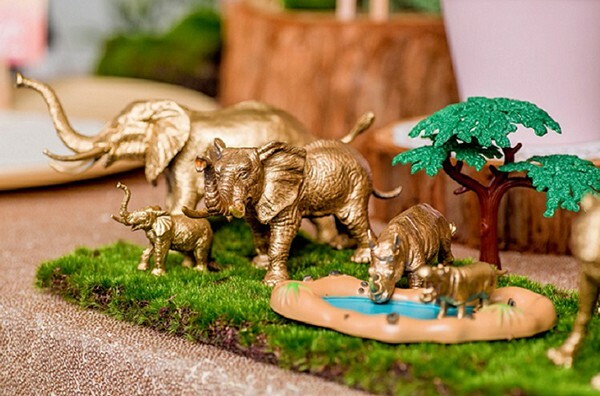 Gold animals roamed a miniature savanna, and the table was framed with clusters of colourful balloons. 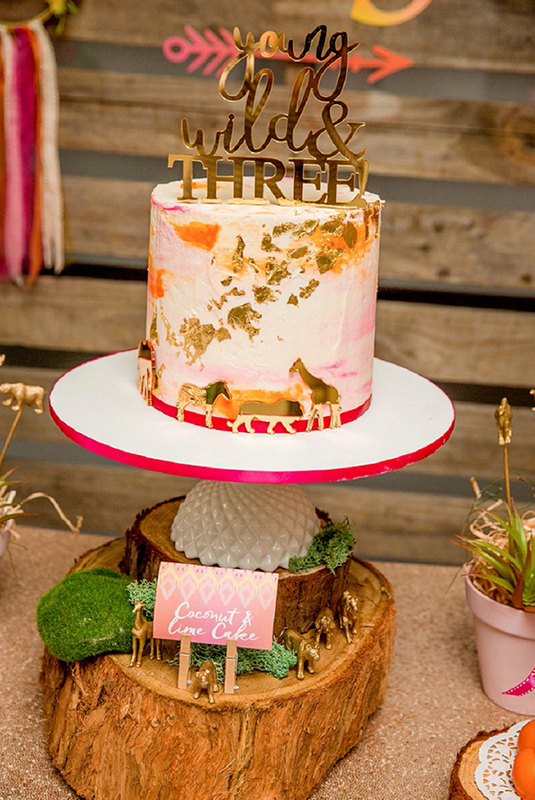 Jo’s Signs by Design created a “Young, Wild and Three” vinyl decal for the backdrop, and the same style of cake topper crowned a beautiful cake. With 25 kid guests aged from three months to 10 years, Lopa had to think carefully about entertainment. 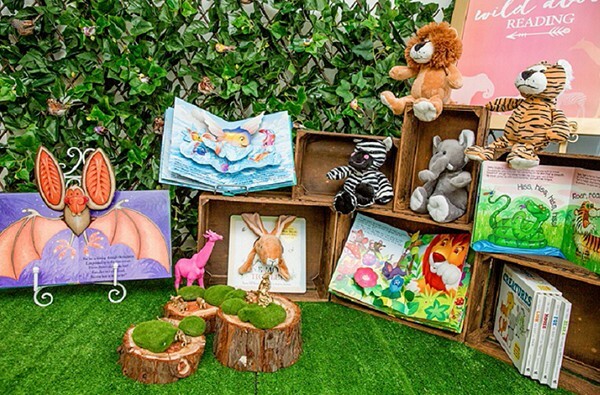 For babies and toddlers, she created a soft play corner with wild animal pop-up books, soft mats, and plush giraffes and lions. A Tumbletown mobile play centre kept the bigger kids busy so adults could indulge in macarons. Lopa was kind enough to share her suppliers with us so we could create something as amazing for our kids.